$1 Superb Steamy Paranormal Romance + International Mystery & Crime Deal! $1 Excellent Steamy Romance of the Day! *Dragon Knight (The Collegium Book 3) (Deal, Not Free) by Jenny Schwartz. Price: $0.99. Genre: Steamy Romance Deal of the Day, Sponsor, Witches & Wizards, International Mystery & Crime, Demons & Devils. Rated: 5 stars on 1 Reviews. 200 pages. ASIN: B019IBLV18. 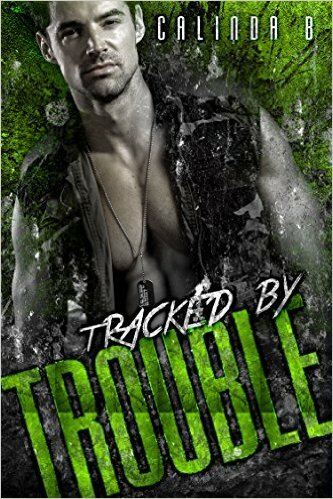 $1 Steamy Bad Boy Romantic Suspense Deal of the Day! Posted on April 27, 2016 Author KibetCategories UncategorizedLeave a comment on $1 Superb Steamy Paranormal Romance + International Mystery & Crime Deal! Free USA Today Bestselling Author Steamy Romance! Reviewer – Hot, Fascinating and Addictive! 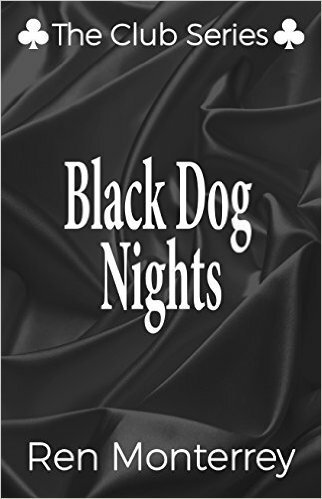 **Black Dog Nights: Part One by Ren Monterrey. Price: Free. Genre: Steamy Romance of the Day, Sponsor, USA Today Bestselling Author, Contemporary Romance. Rated: 4.5 stars on 55 Reviews. Rated: 5 stars on 1 Reviews. 79 pages. ASIN: B00MBJB6WE. USA Today Bestselling Author Ren Monterrey. $1 Incredibly Fun MC Club Romantic Erotica Deal of the Day! $1 Sweet MC Romantic Erotica Deal of the Day! 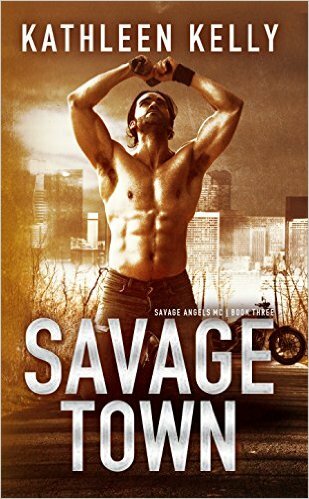 **Savage Town (Savage Angels MC #3) (Deal, Not Free) by Kathleen Kelly. Price: $0.99. Genre: Steamy Romance Deal of the Day, Sponsor, Suspense, MC Club Romance. Rated: 4.7 stars on 64 Reviews. 311 pages. ASIN: B015S5MO5A. ISBN: 1522865098. Reviewers love it: 5+ stars! This story is phenomenal! I can’t get enough of it! Intense and perfect! **The Perfect Someday (The Mathews Family Book 3) by Beverly Preston. Price: Free. Genre: Steamy Contemporary Romance, Sagas. Rated: 4.7 stars on 74 Reviews. 274 pages. ASIN: B00KB2WS3E. **The PlayTiger Billionaire by Maria Amor. Price: Free. Genre: Steamy Fantasy Romance, Tiger Shifter, Shifter Romance, Multicultural Romance. Rated: 4.6 stars on 45 Reviews. 182 pages. ASIN: B01BCNUPZS. *Tempting Whispers (The Kategan Alphas, book 6) by T. A. Grey. Price: Free. Genre: Steamy Fantasy Romance, Paranormal Romance, Vampires. Rated: 4.7 stars on 30 Reviews. 156 pages. ASIN: B008OPADK0. Protecting Arizona by Elle Marlow. Price: Free. Genre: Steamy Romance, Westerns. Rated: 4.7 stars on 7 Reviews. 143 pages. ASIN: B00YW6P0Y4. Dangerous Pasts Boxed Set by Colleen Charles. Price: Free. Genre: Steamy Romance Box Set Anthologies, Sports. Rated: 4.8 stars on 5 Reviews. 672 pages. ASIN: B019XED1JK. Stripper’s Dilemma Book 1 by Renee Lindemann. Price: Free. Genre: Steamy Contemporary Romance. Rated: 4.4 stars on 5 Reviews. 396 pages. ASIN: B00XA53MB6. *Amber Alert (Amber Alert Series Book 1) by Sara Schoen. Price: Free. Genre: Steamy Romance, Kidnapping, Suspense. Rated: 4.4 stars on 32 Reviews. 268 pages. ASIN: B00PZCM2JA. *EEK! I’m a Woman by Dee Dawning. Price: Free. Genre: Paranormal Romance, Romantic Comedy, Romantic Suspense. Rated: 4.6 stars on 21 Reviews. 242 pages. ASIN: B01E309L3E. *Submitting To My Shifter by Rebecca Elyon. Price: Free. Genre: Shifter Steamy Romance, Women’s Fiction, Contemporary Women. Rated: 4.4 stars on 12 Reviews. 201 pages. ASIN: B01EME4HIU. *Louise by Diana Nixon. Price: Free. Genre: Steamy Romance, Women’s Fiction. Rated: 4.9 stars on 9 Reviews. 293 pages. ASIN: B00URUIIXO. The Tech Billionaire by Alexa Blair. Price: Free. Genre: Urban Steamy Romance, Multicultural & Interracial. Rated: 4 stars on 11 Reviews. 441 pages. ASIN: B01ELOIDGS. Tease Me (Zane Series Book 3) by J.L. Leslie. Price: Free. Genre: Steamy Romance, Love & Romance, Parenting & Relationships. Rated: 4.5 stars on 8 Reviews. 170 pages. ASIN: B01DN7CODM. Secret Baby with my College Professor by Kristen Chase. Price: Free. Genre: Contemporary Steamy Romance, New Adult & College, Sports. Rated: 4.1 stars on 8 Reviews. 516 pages. ASIN: B01EO2VEBS. Claimed by the Cowboy Bear by Ruby Scott. Price: Free. Genre: Paranormal Steamy Romance, Werewolves & Shifters, Short Stories. Rated: 4.1 stars on 8 Reviews. 466 pages. ASIN: B01ENT6W0A. Tight End by Carly White. Price: Free. Genre: Steamy Romance, New Adult & College, Sports, Single Authors. Rated: 4 stars on 4 Reviews. 583 pages. ASIN: B01EM0W9DE. 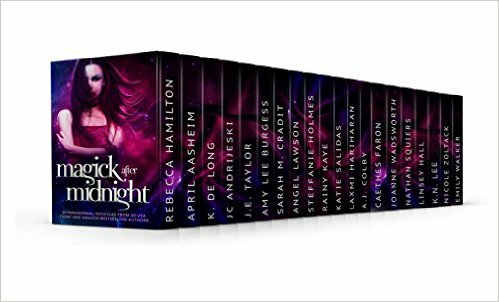 Free NY Times Bestselling Authors Steamy Romance, Excellent Kindle Steamy Romance Deals for a Fantastic Weekend Reading! $1 Steamy Romance Deal Full of Laughter and a HEA! $1 Steamy Inspirational Romance Deal of the Day! *Closed Off To You: Singing Star Trilogy Book 1 (Deal, Not Free) by Rachel S. Rose. Price: $0.99. Genre: Steamy Romance Deal of the Day, Sponsor, Inspirational Romance, Contemporary Romance, Women’s Fiction. Rated: 4.8 stars on 13 Reviews. 278 pages. ASIN: B01CXFM0T8. Free Superb Alpha Billionaire Steamy Romance Deal! Excellent Free Alpha Billionaire Romance! *A Billionaire Romance: A Hard Bargain (BOOK 1): (Billionaire, Billionaire Bachelors, Billionaire Boys Club Romance, Step brother, BOOK 1) by Jennifer King. Price: Free. Genre: Steamy Billionaire Romance of the Day, Sponsor, Short Stories, Single Authors, Contemporary Romance. Rated: 4.5 stars on 25 Reviews. 47 pages. ASIN: B01AFO8LNS. Please Note: The rest of the series is free on Kindle Unlimited. ***The Blind Date (Love Unexpected Book 1) by Delaney Diamond. Price: Free. Genre: Steamy Romance, Contemporary, Multicultural. Rated: 4.2 stars on 221 Reviews. 178 pages. ASIN: B00FAY90KM. ***Come the Dawn (The Dangerous Delameres Book 2) by Christina Skye. Price: Free. Genre: Steamy Historical Romance of the Day, Military, Regency. Rated: 4.3 stars on 116 Reviews. 416 pages. ASIN: B011ZDA5KK. **Keystrokes by Lisa Marie. Price: Free. Genre: Steamy Romance of the Day, Women’s Fiction. Rated: 4.6 stars on 46 Reviews. 186 pages. ASIN: B00PW9GDKU. *Dance with the Billionaire by Charlotte Eve. Price: Free. Genre: Contemporary Steamy Romance, New Adult & College, Romantic Comedy. Rated: 4.3 stars on 34 Reviews. 387 pages. ASIN: B01DA96BDC. Back for Seconds (Lone Star Second Chances Book 1) by Ginger Voight. Price: Free. Genre: Contemporary Steamy Romance, Family Saga. Rated: 4 stars on 8 Reviews. 326 pages. ASIN: B00VHI201Q. The Witch (Dardanos, Co. Book 13) by Calle J. Brookes. Price: Free. Genre: Paranormal Steamy Romance, Vampires, Witches & Wizards. Rated: 4.9 stars on 7 Reviews. 194 pages. ASIN: B00R8JM91O. Posted on April 22, 2016 Author KibetCategories Free Kindle Steamy Romance, Free Steamy Romance Books KindleLeave a comment on Free NY Times Bestselling Authors Steamy Romance, Excellent Kindle Steamy Romance Deals for a Fantastic Weekend Reading! $1 Steamy Bad Boy Mob & Mafia Romance Deal! $1 Thoroughly Entertaining Bad Boy Romance Deal! 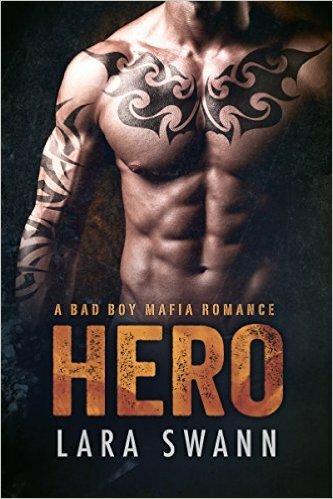 *Hero: A Bad Boy Mafia Romance (Deal, Not Free) by Lara Swann. Price: $0.99. Genre: Steamy Mafia Romance Deal of the Day, Sponsor, Psychological Thriller, Military, Women’s Fiction. Rated: 4 stars on 67 Reviews. 558 pages. ASIN: B01DB0U5WS. Free Sweet Steamy Romance of the Day – Risking Everything for Love! 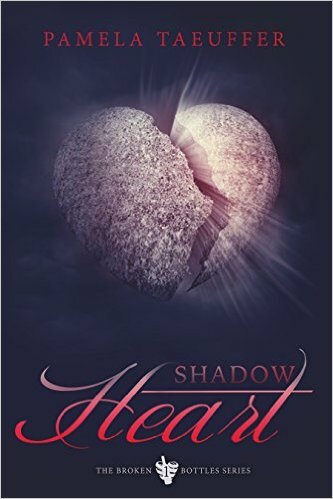 *Shadow Heart: A Contemporary Romance Novel about Pushing the Boundaries of the Heart and Risking Everything for Love (Broken Bottle Series) by Pam Taeuffer. Price: Free. Genre: Steamy Romance of the Day, Sponsor, Coming of Age, Women’s Fiction, Literary. Rated: 4.2 stars on 34 Reviews. 304 pages. ASIN: B00IICDHO8. ***Biker’s Claim (Contains bonus book Cocked!) by B. B. Hamel. Price: Free. Genre: Contemporary Steamy Romance, Military, New Adult & College. Rated: 4.7 stars on 149 Reviews. 391 pages. ASIN: B01DRA4LC2. ***Scornfully Yours (Torn Series Book 1) by Pamela Ann. Price: Free. Genre: Steamy Romance, New Adult & College, NY Times Bestselling Author. Rated: 4.1 stars on 293 Reviews. 245 pages. ASIN: B01EGV493M. NY Times & USA Today Bestselling Author Pamela Ann. *Hushed (Western Palm Book 1) by Britni Hill. Price: Free. Genre: Contemporary Steamy Romance, New Adult & College. Rated: 4.6 stars on 13 Reviews. 298 pages. ASIN: B00J2DZESE. *Intercepted by Marilyn Anderson. Price: Free. Genre: Contemporary Steamy Romance, New Adult & College. Rated: 4.6 stars on 13 Reviews. 283 pages. ASIN: B0186QOVJU. Steamy MMA Fighter Romance Deal of the Day! *IRISH: a Bad Boy Fighter Romance (Deal, Not Free) by Olivia Hawthorne, Olivia Long. Price: $0.99. Genre: Steamy Irish MMA Fighter Adult Romance Deal of the Day, Sponsor, New Adult & College, Contemporary. Rated: 4.8 stars on 18 Reviews. 186 pages. ASIN: B01E9RKQ58. Hot Irish MMA Fighter Romance. Reviewers love it! Barbarian Prince: Dragon Lords Anniversary Edition (Deal, Not Free) by Michelle M. Pillow. Price: $0.99. Genre: Steamy Dragon Shifter Romance, Sponsor, NY Times Bestselling Author, Science Fiction, Paranormal, Fantasy. Rated: 4.2 stars on 113 Reviews. 508 pages. ASIN: B00JSAB49Y. NY Times Bestselling Author Michelle M. Pillow. Reviewers love it: Astounding! I love this author and I love dragons! This expanded anniversary edition is even better and hotter than ever! I devoured it within a few hours! I cannot wait for the next books in the series to throw myself headlong into! $1 Fantastic Steamy Romance Deal of the Day! $1 Fantastic Steamy Romance Deal! uegrass Obsession (The Bluegrass Billionaire Trilogy Book 2) (Deal, Not Free) by Alice Ward, Jessica Blake. Price: $0.99. Genre: Steamy Romance Deal of the Day, Sponsor, Romantic Comedy, Contemporary Women, Contemporary Romance, Women’s Fiction. Rated: 4.3 stars on 13 Reviews. ASIN: B01E9K0PEM. Reviewers love it: Excellent read! This is a very well written book! Oh my! What an amazing story! Unbelievably good! My heart was aching for this couple. An intriguing tale that sucked me in! The author has done it again! I cannot wait for the third book! 5. Dangerous Secrets: Callaghan Brothers, Book 1 by Abbie Zanders. Price: Free. Genre: Military Steamy Romance, Contemporary, Romantic Suspense. Rated: 4.7 stars on 649 Reviews. 356 pages. ASIN: B00PX02PU0. 6. Chasing Imperfection (Chasing Series Book 2) by Pamela Ann. Price: Free. Genre: Steamy Romance, New Adult & College, Psychological. Rated: 4.3 stars on 245 Reviews. 265 pages. ASIN: B01DS8MKQW. 7. Never Me by Kate Stewart. Price: Free. Genre: Steamy Romance, Coming of Age, Contemporary. Rated: 4.6 stars on 93 Reviews. 217 pages. ASIN: B00LWF3JDW.The Bear’s Den by Alexa Blair. Price: Free. Genre: Contemporary Steamy Romance, Paranormal, Werewolves & Shifters. Rated: 4 stars on 14 Reviews. 557 pages. ASIN: B01E44RA9Q. 8. Speak (Untold Stories Book 2) by Eden Rose. Price: Free. Genre: Steamy Romance, Family Saga. Rated: 4.1 stars on 10 Reviews. 155 pages. ASIN: B013Z3JYIC. 9. Lush (Intoxicated Series Book 2) by Eden Rose. Price: Free. Genre: Steamy Romance, Family Saga, Organized Crime, Sagas. Rated: 4.9 stars on 7 Reviews. 353 pages. ASIN: B00QCOF54E. ***Barbarian Prince: Dragon Lords Anniversary Edition (Deal, Not Free) by Michelle M. Pillow. Price: $0.99. Genre: Steamy Dragon Shifter Romance, Sponsor, NY Times Bestselling Author, Science Fiction, Paranormal, Fantasy. Rated: 4.2 stars on 113 Reviews. 508 pages. *Bluegrass Obsession (The Bluegrass Billionaire Trilogy Book 2) (Deal, Not Free) by Alice Ward, Jessica Blake. Price: $0.99. Genre: Steamy Romance Deal of the Day, Sponsor, Romantic Comedy, Contemporary Women, Contemporary Romance, Women’s Fiction. Rated: 4.3 stars on 13 Reviews. ASIN: B01E9K0PEM. Reviewers love it: Excellent read! This is a very well written book! Oh my! What an amazing story! Unbelievably good! My heart was aching for this couple. An intriguing tale that sucked me in! The author has done it again! I cannot wait for the third book! ***The Wrath of Cain (The Syndicate Series Book 1) by Kathy Coopmans. Price: Free. Genre: Steamy Romantic Suspense, Contemporary. Rated: 4.3 stars on 193 Reviews. 283 pages. ASIN: B015WIJV18. **The Rub Down (The Rub Down Series Book 1) by Gina Sheldon. Price: Free. Genre: Sports Steamy Romance, Contemporary. Rated: 4.6 stars on 51 Reviews. 323 pages. ASIN: B00WDJHSME. 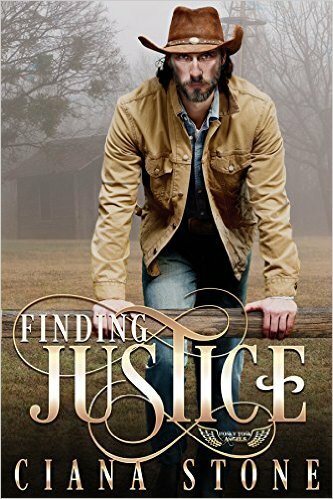 *Healing (Finding Home Book One) by Rachel Caid. Price: Free. Genre: Contemporary Steamy Romance. Rated: 4.5 stars on 37 Reviews. 285 pages. ASIN: B013Z0QT6A. Smolder by Graylin Fox. Cost: Free. Genre: Romantic Suspense. Rated: 4 stars on 7 Reviews. 209 pages. ASIN: B016YYJE3O.